Microsoft debuted its new $999 Surface Laptop, targeted to compete with Apple’s MacBook Air in the classroom. 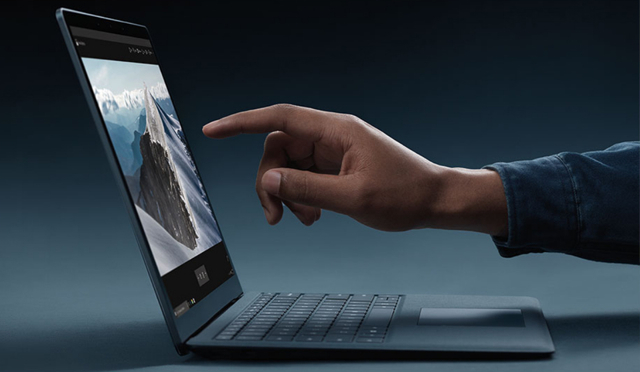 The new Surface, available in four colors, is 2.76-pounds, a bit lighter and thinner than Air and offers a 14.5-hour battery life, slightly longer than the Air’s. On the less expensive end, Microsoft partners Acer, Lenovo and HP unveiled laptops, also running Windows 10 S, for the education market starting at $189. Windows 10 S, touted as more secure, can run apps from Microsoft’s Windows Store. But Apple’s iTunes isn’t in the Windows Store, which “could frustrate a customer who, for example, tries to sync an iPhone but can’t.” Customers who want to use apps not available in the Store can upgrade to the Windows 10 Pro version for $49. Futuresource Consulting reports that Chrome OS now makes up 58 percent of “laptops and tablets shipped to the U.S. kindergarten-through-12th-grade market in 2016,” whereas Windows has a 22 percent share and Apple has 19 percent. The educational market was valued at $10.1 billion worldwide in 2015, says Futuresource. The Surface Laptop will roll out June 15 and others running Windows 10 S will show up in summer. According to Forrester Research analyst J.P. Gownder, these new products will “stem the bleeding” for Microsoft’s efforts in the education market.